When it comes to your teeth, it is important to know what constitutes a dental emergency. Any trauma to the mouth can be incredibly painful, and some instances may require immediate medical attention. If one of your permanent, adult teeth is knocked out, it is important to take restorative steps and call your dentist immediately. If you can, locate the lost tooth and pick it up, being incredibly careful not to touch the root. Gently rinse it off with water to get rid of dirt it may have picked up while knocked out. If you can, place the tooth back in its original socket. Do not force the tooth into place or bite down; simply place it in its original location. If this is too painful or otherwise impossible, place the dislodged tooth in your mouth between your cheek and other teeth. If you are not comfortable with this, place the tooth in a cup of milk. After making sure to preserve the tooth, call your dentist immediately. When it comes to a lost tooth, time is of the essence so make sure to see a dental professional as soon as possible. If you chip a tooth, and are not in any pain, a visit to the dentist can often be delayed for a day or two and emergency dentistry is not a necessity. If a tooth is cracked or fractured, however, you should seek medical attention immediately. A tooth that is broken on the outside is likely suffering internal damage as well. 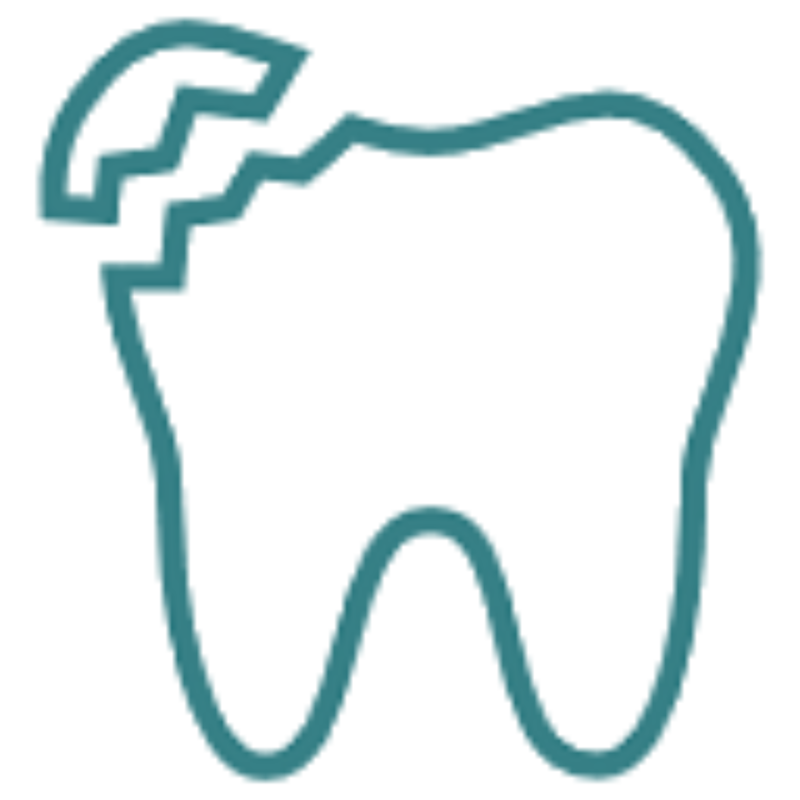 If the fracture is bad enough, the tooth may not be able to be saved. If you fracture or break a tooth, call your dentist as soon as possible. Also, rinse your mouth with warm water and place an ice pack on your face to reduce swelling. Any pain in your mouth should not be ignored. Whether it is pain surrounding a tooth or mouth tissue, it can often be the sign of something serious. Infections and tooth damage can cause pain. Some serious illnesses also start with mouth pain. If you are concerned about any pain associated with your teeth or mouth, contact your dentist right away. Emergency dentistry can be tricky, so when in doubt, give us a call.